Lighten your horse’s front end and improve his canter with this exercise. A vast bundle of nerves lies at the base of the horse’s neck. 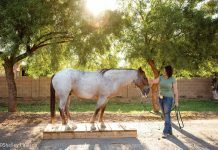 When it’s stimulated in a way that activates the nearby muscles, the horse lifts his weight up and travels with lightness. We refer to this as lifting the base of his neck. A horse that lifts the base of his neck while trotting and cantering feels smooth and cushioned to ride. 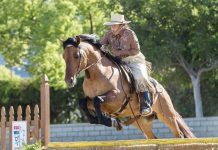 On the other hand, when he is falling forward with his balance and pushing the base of his neck down, he will travel with rough, hurried strides, especially in the canter, which can feel like careening. For a better canter, you want to teach him to lift the base of his neck. This is where an exquisitely timed half-halt helps. Without perfect timing, though, or when the half-halt is not working for various reasons, a neck rope offers a valuable assist. In fact, you might be surprised at the difference it can make in the quality of your canter. For this exercise, you can use nearly any thick rope available at your barn that is comfortable in your hands. 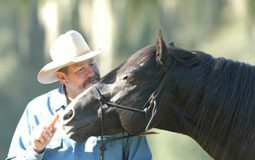 Place a soft, braided rope around your horse’s neck as shown in the photo. Hold your reins with normal contact. At the same time, hold the neck rope with one or both hands, hooking your pinky finger(s) around it. 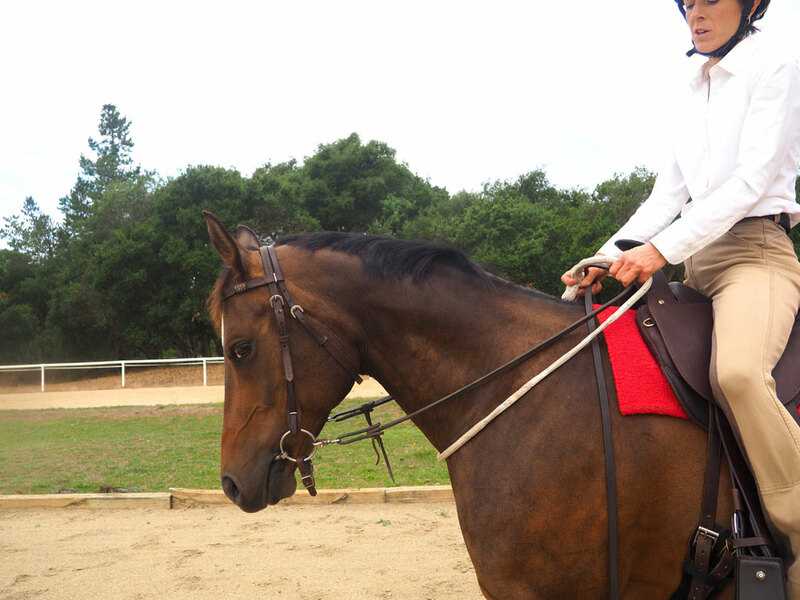 Adjust the rope tightly enough so that when you pull upward 1 inch or so, it lifts into your horse’s chest and neck. 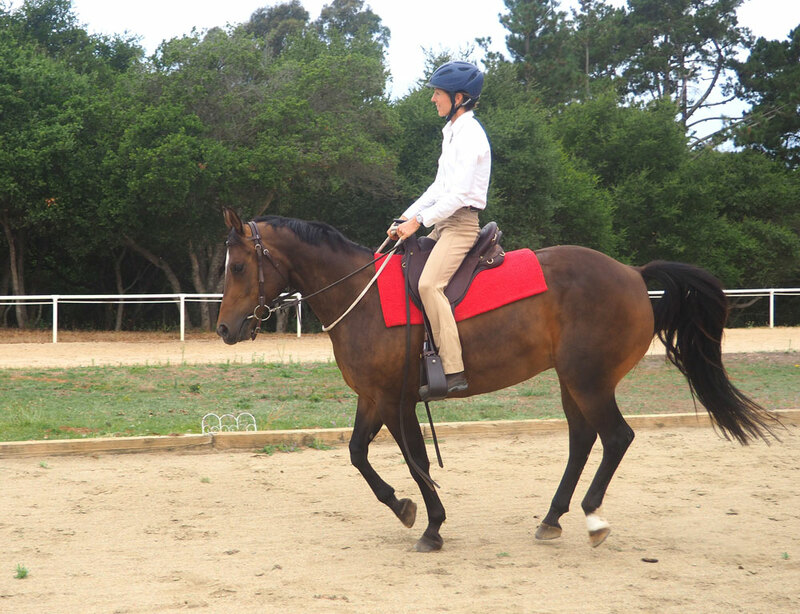 Now begin cantering around a large circle, asking your horse to move with good energy. Use small, upward tugs on the rope, but try not to tug on your reins at the same time.